While every Division 1 sports program is trying to build a program that achieves the ultimate basketball end-goal -- winning the NCAA National Championship, Roy Williams and the North Carolina Tar Heels have developed an amazingly productive model. Every coach has a “system,” but Ol’ Roy’s system produced championships in 2005 and 2009 and looks poised to add another Wooden trophy to the basketball shelf come April. Williams’ system utilizes a high-octane, high-scoring offense, proficient rebounding, four NBA draft picks and a great point guard peeking at just the right time. 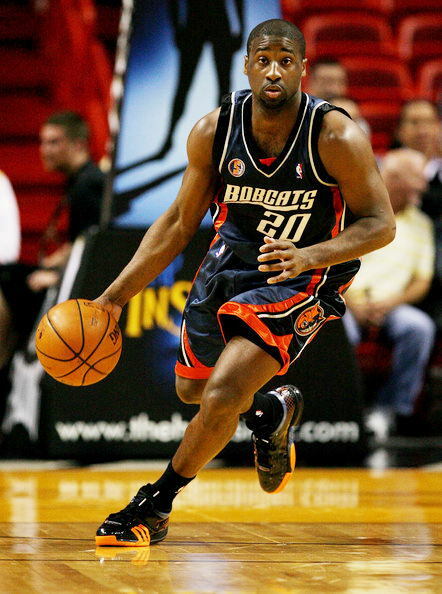 The 2005 Big Dance champs featured Sean May, Raymond Felton, Rashad McCants and Marvin Williams -- all first round NBA draft picks. The team scored 88 points and snagged 40 rebounds per game. Point guard Raymond Felton averaged 12.9 points per game and six assists playing better each time a calendar page was turned. The 2009 NCAA Champions included national player of the year Tyler Hansbrough, Wayne Ellington, Danny Green and Ty Lawson. Again, all NBA draft picks. They averaged a scorching 89.8 and 42 rebounds per game. Lawson, one of the fastest point guards to every play in the ACC, averaged 16.6 points per game and 6.5 assists. This season UNC also has a world class point-guard whose offensive production and confidence are clearly on the upswing just like his predecessors Felton and Lawson. Marshall set the ACC single season record amassing 330 – one hundred more than last season. The sophomore point guard averages 9.7 assists per game (1st in the ACC, 2nd in the nation) and his assists to turnover ratio is 3.5 (1st in the ACC, 2nd in the nation). The key to UNC’s late season surge and a long run to New Orleans is more offensive production from Marshall especially behind the three-point line. 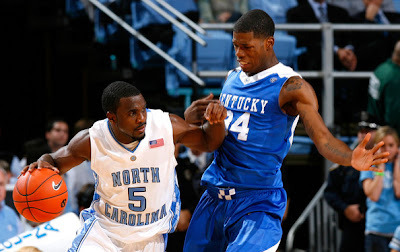 The same was said of Felton and Lawson, and both stepped up in the Big Dance. Last weekend, Marshall shot open three-pointers and drove to the basket looking to create offense. He even nailed a clutch late three-pointer and had the confidence to take UNC’s final shot. Avoiding foul trouble and injuries remains a critical component of Marshall’s success. Speaking of injuries, John Henson, the ACC defensive player of the year, was injured against Maryland and sat out the remainder of the ACC tournament. In 2009, Ty Lawson was hindered by a nagging toe injury which limited his effectiveness in the ACC tourney, and he skipped the Tar Heels opening dance, a blowout against over matched Radford. He subsequently averaged 20.8 points and 6.8 assists in his five remaining NCAA tournament games where UNC won by an average margin of 19.8 points. The 2005, 2009 and 2012 teams all were among the national leaders in scoring, rebounding, and assists while all three failed to win the ACC tournament. Unlike their predecessors, the 2012 Tar Heels have struggled from the free throw line, but they seemed to have figured it out during the ACC tournament where they shot 72% against N.C. and 87% in the final against FSU. The 2005 team lost in the semi-finals to Georgia Tech and the 2009 team lost in the ACC finals to Florida State mirroring the 2012 Tar Heels’ ACC tournament downfall. All three teams were highly ranked in the pre-season and throughout the year. 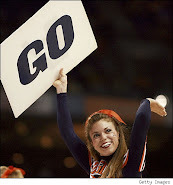 The 2005 team was in the top five of both polls most of the year while Illinois, ultimately North Craolina’s victim in the NCAA championship game, raced through a one-loss season. Those very same 2005 Tar Heels suffered a shocking loss in their opener, falling to Santa Clara prior to losing to Wake Forest and to Duke. In 2009, the Tar Heels were the unanimous pre-season No.1 and predicted by many to run the table. That said, North Carolina lost their ACC opener to Boston College, to Wake Forest a week later, and to Maryland in overtime late in the regular season. After getting routed by Kansas in the Final Four the year prior, Hansbrough, Lawson, Green and Ellington all returned to UNC in search of a national title. 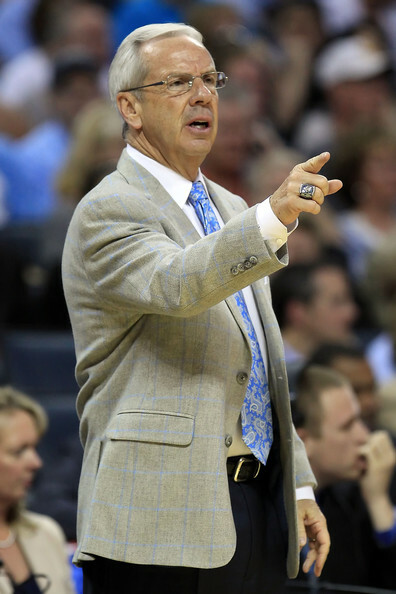 At season’s opening, Ol’ Roy’s 2012 squad was the preseason No.1 in everybody’s poll with a roster of four returning NBA draft picks and a Final Four performance the year prior. In their first game, the Tar Heels handily defeated Michigan State, a team that rose to as high as No. 4 in the polls later in the season, and wound up a No. 1 seed in the Big Dance after winning the Big 10 tournament. But an early loss to UNLV, a narrow loss to No. 1 Kentucky in Lexington and an ugly blow-out loss at Florida State sent the pundits and predictors running for the North Carolina hills and beyond. A close end-game loss to Duke in an instant classic rivalry game didn’t move the needle one direction or the other, but the subsequent winning streak and demolition of the Blue Devils on Coach K court last weekend, combined with a strong showing in the ACC tournament without John Henson, has the 2012 Tar Heels looking remarkably similar to the teams that won the National Championship in 2005 and 2009. The only real obstacle that may prevent the Tar Heels’ from cutting down the nets once again in New Orleans where they won National Championships in 1982 and 1993 is a team with a similar style and statistics – Kentucky. But if history repeats itself, this team from Chapel Hill will find a way to defeat the No.1 team in the country as they did in 2005 when they defeated top-seeded Illinois 75-70 in Indianapolis. While a portion of the North Carolina fan base continues to grouse and gripe about Williams’ game strategies and reluctance to call time outs, it’s very clear that the Roy Williams’ “system” works. Obviously, recruiting is a big part of the system’s success. Not only is it difficult to recruit four NBA future draft picks, it’s even trickier to get them to play well together. Clearly, Williams has figured this out as good as any coach in the game. Adding a third NCAA championship in the past eight tournaments should prove the point that Ol' Roy's system works. Ole Roy's system is almost perfect: 4 NBA draft picks and a great point guard. Only thing I can think of better would be 5 NBA draft picks.... !